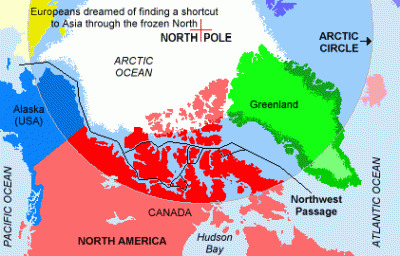 OTTAWA: It is costly to operate in the vast and inhospitable Arctic. But the Canadian military is exploring a way to cut costs and speed up the movement of troops and equipment by building several new northern bases. Along the way it could help to strengthen the country’s Arctic sovereignty claims by placing additional boots on the tundra throughout the year. The plan, sketched out in a study that was commissioned by the force’s operational support command, is a variation of the one put in place for overseas operations. Barebones transportation hubs — essentially a suitable landing strip and storage facility — at strategic spots around the globe make it more efficient when soldiers are called out to a global hot spot in a pinch. Just this week, Defence Minister Peter MacKay was in Kuwait to announce an agreement to use the country as a transit point for equipment coming out of combat in Kandahar and making the long journey home to Canada. The military is looking at a domestic variant of those overseas hubs. The plan could result in remote bases and a small-but-permanent military presence in far-off communities. Locations could include Alert, Inuvik, Whitehorse, Rankin Inlet, Iqaluit or Nanisivik, according to the technical memorandum prepared by the research wing of the military last year. The Canadian Forces says no decision has been made to go ahead with the construction of new hubs. “The hub concept referred to in this report is just one of many ideas being examined at the time to enhance our capabilities up in the North,” said Navy Lt. Greg Menzies. The report is premised on the priority that the Conservative government has placed on a more rigorous defence of Canada’s territorial sovereignty in the North, where countries including Russia, Denmark and the United States are currently staking their claims to land and underwater territory. “To maintain its sovereignty over its northern region, Canada will need to develop enforcement and surveillance capabilities for the Arctic,” the report says. Currently, the Canadian Forces relies on the Canadian Rangers for operations in the North. More complex search and rescue requirements are handled out of an air force base in Winnipeg. But this new plan would see the force’s hulking C-17 transport aircraft be loaded with personnel, supplies and a disassembled military helicopter — likely at CFB Trenton in Ontario — and dispatched to the northern hub. There, the helicopter would be reassembled and the Arctic hub would be used as a base for the mission. The military wouldn’t speak to the costs of mounting an operation in the Arctic, but said the total budget for its annual northern exercise, Operation Nanook — which involves moving ships, aircraft, helicopters and about 1,000 personnel into the Arctic Circle — is about $15 million. “The Canadian Forces are ready to execute all potential military tasks in Canada’s North and we’re always looking at ways to improve our response to possible threats in the North,” Menzies said.